The use of clay tiles dates back to ancient times, and its use has not waned since. Today, most roofing tiles are man-made, composed of durable, heat-resistant ceramic. Innovations have made this material a premium roofing choice for many homeowners across the country. The biggest drawback people find with ceramic tiles is their high price. In comparison to asphalt shingles, a tile roof could easily cost up to two or three times more than its counterparts. This considerable investment encourages homeowners to proactively maintain their tile roofing. Earl W. Johnston Roofing understands just how valuable your tile roof is. That’s why we’ve compiled our best tips to help you maximize its benefits. Ceramic tiles are not as brittle as many people think. 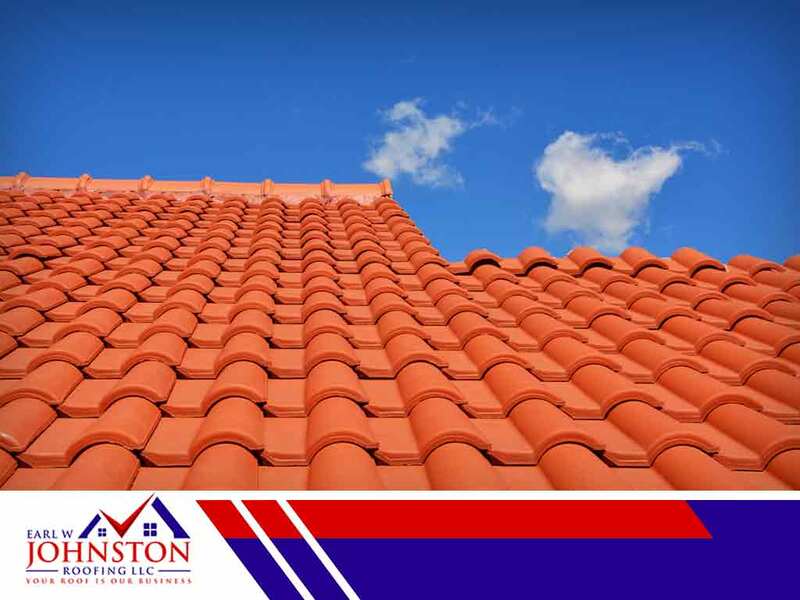 The composition of modern tile roofing is a mixture of impact-resistant minerals and other durable substrates, resulting in a material that’s sturdier than it looks. That said, tile roofs do still sometimes require roof repair, though seasonal inspections and an annual maintenance program will help keep your tile roof in excellent condition and thus limit the need for repairs. Like any other roofing system, tiles are susceptible to dirt and debris build-up, which is most commonly caused by nearby trees with overhanging branches. Often, these leaves can block water flow on the roof, and the retained moisture creates the perfect environment for cultivating mold growth. You can avoid these issues with regular roof cleaning. While it’s tempting to do this yourself, you run the risk of damaging individual tiles while clearing out the debris. Instead, entrust this task to professionals as often as needed for a strong, damage-free roof. Individual tiles, while durable, can still break. This can be due to a number of factors, such as hail, birds or other objects that make their way onto the roof. It’s important to replace broken tiles immediately, as this is far less expensive than dealing with a major repair in the future. Our roofing specialists at Earl W. Johnston Roofing offer preventive maintenance to help you avoid major roofing problems. We also provide repair and replacement services for your tile roofing needs. Give us a call at (954) 908-2871 to request a free estimate. We serve Pembroke Pines, Coral Springs, and Hollywood, FL.